This is a theme based on Bootstrap 4. The theme is a good building block for a site. It is based on a simple navbar + content layout. 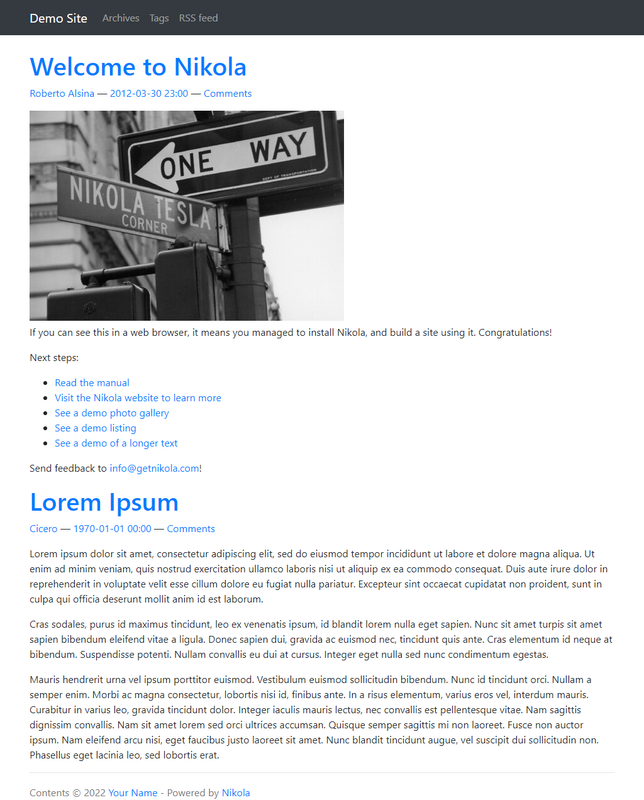 For a more blog-style layout, check out bootblog4. This theme supports Bootswatch font/color schemes through the nikola bootwatch_theme command.